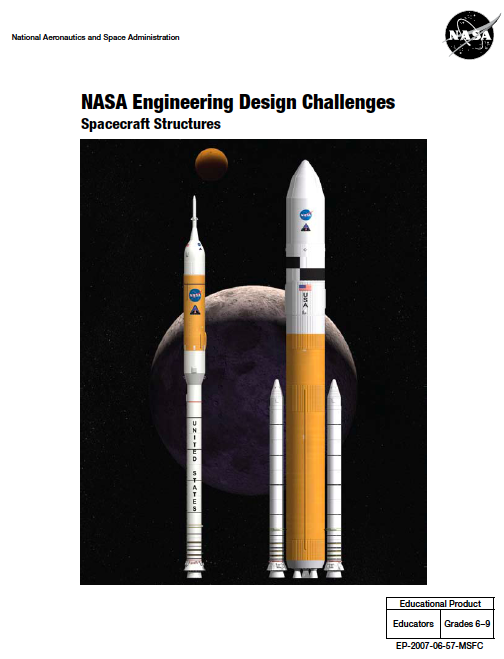 NASA Engineering Design Challenges are developed to represent the real challenges that NASA scientists face as they design the next generation of space exploration technology. This site collects 7 different design challenges for middle and high school students. My personal favorite is the Personal Satellite Assistant (PSA) Design Challenge- Check out the PSA Site for information on the design challenge and also some wonderful interactives on Newton’s Laws. Applications for Science Teachers: In Washington State, our science standards promote the teaching of the Design Process- yet many middle school and high school instructional materials do not contain lessons that support design. These NASA design challenges could be used as supplemental materials for life science, physical science, or Earth/Space science classes.